Kakapo, a parrot bird that resides in New Zealand reaches 10 000 supporters. This is a flightless bird and is currently endangered. Congrats to FlancrestEnterprises. More details about this creation can be found on LEGO Ideas. The kākāpō (Strigops habroptila)is an iconic flightless, nocturnal parrot that is endemic to New Zealand. The kākāpō is critically endangered with a population of only 149 individuals. 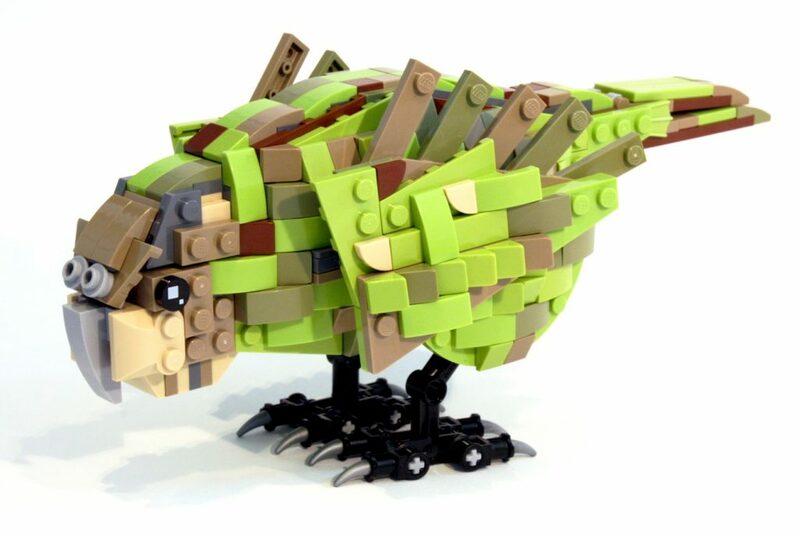 I chose to design and build a kākāpō as I am passionate about New Zealand and its unique wildlife. Weighing in at whopping 251 grams, this build is made of 473 parts and measures 10cm x 22cm x 9cm (or 10cm x 22cm x 22cm with the wings fully extended). The most partying parrot on the internet!